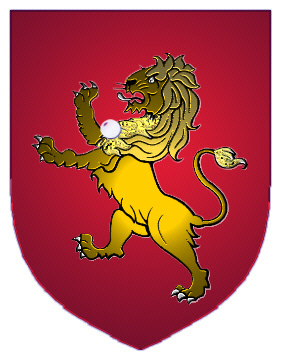 Coat of Arms: Red with a gold lion rampant with a white disc over its heart. 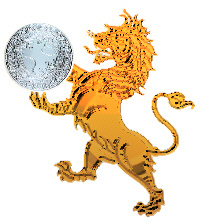 Crest: A lion rampant holding a white disc between its paws. Motto: A gair duw yn ucha. Motto Translated: The word of God above all. 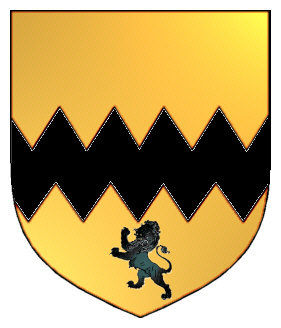 Coat of Arms: A gold shield with a black fess dancetée, and a black lion rampant in base. Crest: A Silver lion's head dripping blood. 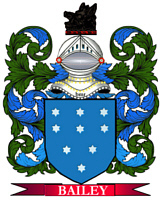 Motto: Si Deus nobiscum qui contra nos. Motto Translated: If God be with us, who can be against us.